I've always enjoyed gadget browsing at airports (and maybe buying) and now Best Buy has upped that ante by announcing plans to add a dozen self-serve vending kiosks inside major airports across the country as part of a new pilot program called Best Buy Express. 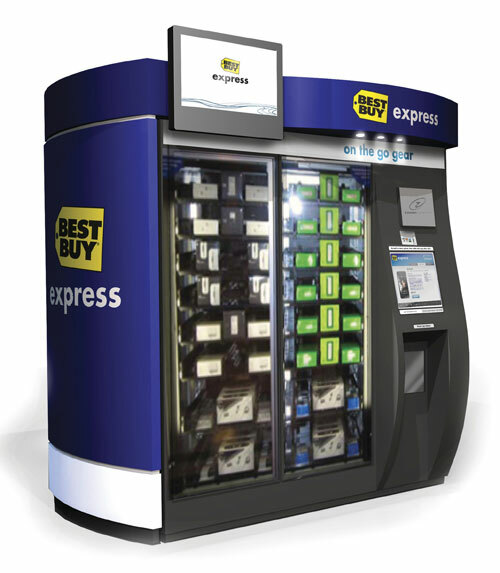 Best Buy is partnering with ZoomSystems, a San Francisco-based vending machine company, for the project that will install the small automated stores at eight airports by September 1. The kiosks will be installed in Atlanta, Boston, Dallas, Houston, Las Vegas, Los Angeles, Minneapolis and San Francisco.